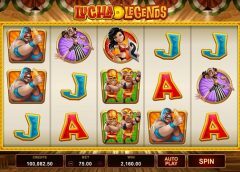 There are dozens of different pokie game developers, all of whom will of course be very eager for you to give their range of pokies any amount of play time online, however one up and coming developer that really has got a stunning range of pokie machines available is Lightning Box. 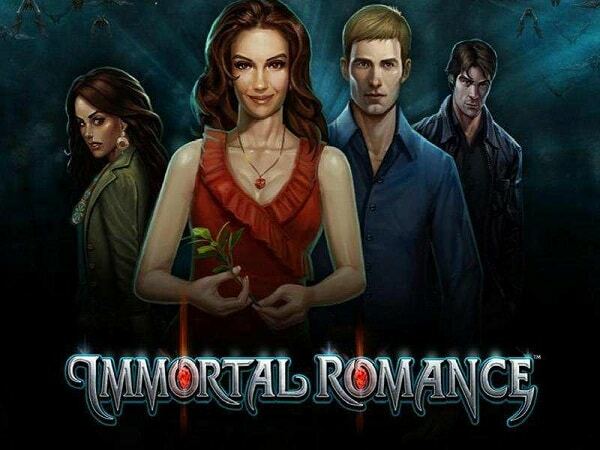 If you are looking for all action pokies and ones that always come jam packed full of different features, bonus games and built in base game features, then it is about time you got stuck into playing their slots online, if you haven’t yet gone about doing so! 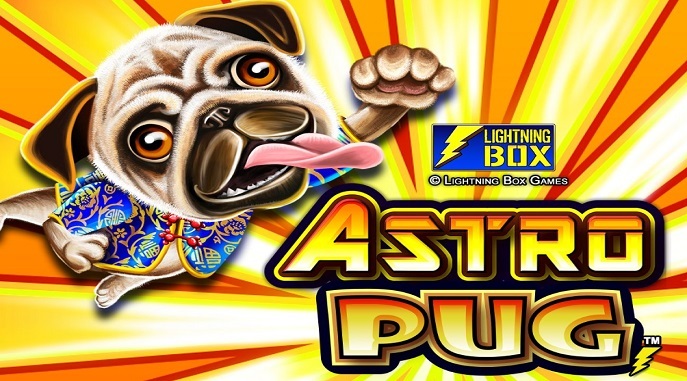 Today however, I want to give you an insight into one of their much more unique and very highly playable pokie game releases that went live back in September 2018, and that pokie is their Astro Pug pokie machine, on which you are going to find a very unique playing structure and possibly one that you have never come across before. The first thing you do need to be aware of if you do give the Astro Pug pokie a try is that it has been designed with a 1296 ways to win playing structure, and as such on every single spin you play off you have a huge number of different ways available to form a winning combination. 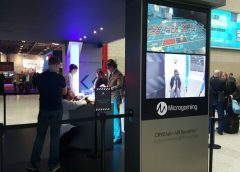 But rather than force you to have to place 1296 individual coins on each spin you play off, the staking options as such that a minimum of just 50 coins on any chosen coin value setting is all that is required to have all of those ways of winning in live play, or any upward increment of 50 coins up to a maximum of 500 coins on total. The way in which you are going to trigger the free spins bonus game when playing the Astro Pug pokie machine is by you spinning in five or more of the Bonus Scatter symbols, and a bonus payout is also awarded by triggering the bonus game which grows in value depending on just how many of those symbols you have spun into view too. Those symbols will however only be spin in on the outer most in-view reel positions on the middle four reels, so you will of course be hoping to spin in as many of those symbols as is possible during any base game spin. 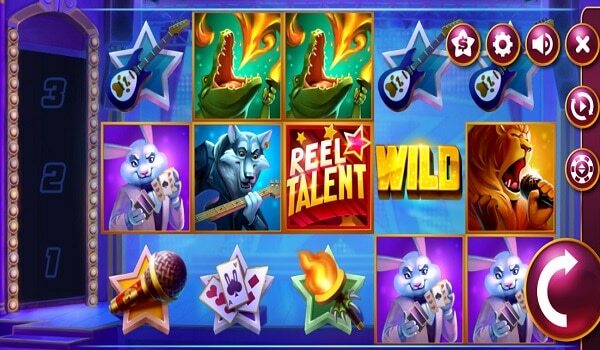 You could also trigger something known as a Mega Spin during the free spin bonus game and when you do so you could then go onto see all sixteen in view reel positions on the middle four reels becoming Wild positions, and when that happens you could be in for a huge winning payout for sure! As with any bonus free spins feature though the stakes that you have in play during the triggering base game spins will be the ones in use as your free spins are playing off, but make no mistake about it, even when playing for the minimum 50 coins and on the lowest cost value setting which is 0.01 you really could win big when playing this pokie game! What you will of course need to know is just how high or low the RTP has been set on any pokie machines you may fancy getting stuck into playing, and one thing I do like about all Lightning Box designed and supplied pokie is that they do publish the long term expected RTP’s on each slots pay table. 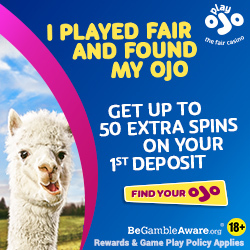 If you are wondering just what the payout percentage is on the Astro Pug pokie game, well I am happy to let you know it has been set to return 95.7282% of players takes over their long term play, so you should get plenty of play time from your slot playing bankroll when playing this slot. To give you the chance of winning big and boosting the value of any spun in winning combinations, on reel two of this pokie machine you will find a number of Bone symbols, they can and will act as wild multiplier symbols. As such there are four different Bone symbols that can be spun in on that reel, the standard one however doesn’t boost the value of your winning payouts formed with the use of that symbol, however the double, triple and quadruple Bone symbols will boost your payouts by x2, x3 and x4 respectively so they are certainly reel symbols you will want to see spinning in time and time again!